Item Name ISO D L1 L2 D2 BT40 FMH-K16 040 Coolant Through Flange(AD+B) Face Mill Holder-Through Coolant (Balan.. Item Name ISO D L1 L2 D2 BT40 FMH-K16 045 Coolant Through Flange(AD+B) Face Mill Holder-Through Coolant (Balan.. Item Name ISO D L1 L2 D2 BT40 FMH-K16 100 Coolant Through Flange(AD+B) Face Mill Holder-Through Coolant (Balan.. Item Name ISO D L1 L2 D2 BT40 FMH-K16 160 Coolant Through Flange(AD+B) Face Mill Holder-Through Coolant (Balan.. Item Name ISO D L1 L2 D2 BT40 FMH-K16 200 Coolant Through Flange(AD+B) Face Mill Holder-Through Coolant (Balan.. Item Name ISO D L1 L2 D2 BT40 FMH-K22 040 Coolant Through Flange(AD+B) Face Mill Holder-Through Coolant (Balan.. Item Name ISO D L1 L2 D2 BT40 FMH-K22 045 Coolant Through Flange(AD+B) Face Mill Holder-Through Coolant (Balan.. Item Name ISO D L1 L2 D2 BT40 FMH-K22 100 Coolant Through Flange(AD+B) Face Mill Holder-Through Coolant (Balan.. Item Name ISO D L1 L2 D2 BT40 FMH-K22 160 Coolant Through Flange(AD+B) Face Mill Holder-Through Coolant (Balan.. Item Name ISO D L1 L2 D2 BT40 FMH-K22 200 Coolant Through Flange(AD+B) Face Mill Holder-Through Coolant &n.. Item Name ISO D L1 L2 D2 BT40 FMH-K27 045 Coolant Through Flange(AD+B) Face Mill Holder-Through Coolant (Balan.. Item Name ISO D L1 L2 D2 BT40 FMH-K27 100 Coolant Through Flange(AD+B) Face Mill Holder-Through Coolant (Balan.. Item Name ISO D L1 L2 D2 BT40 FMH-K27 160 Coolant Through Flange(AD+B) Face Mill Holder-Through Coolant (Balan.. Item Name ISO D L1 L2 D2 BT40 FMH-K27 200 Coolant Through Flange(AD+B) Face Mill Holder-Through Coolant (Balan.. Item Name ISO D L1 L2 D2 BT40 FMH-K32 050 Coolant Through Flange(AD+B) Face Mill Holder-Through Coolant (Balan.. Item Name ISO D L1 L2 D2 BT40 FMH-K32 100 Coolant Through Flange(AD+B) Face Mill Holder-Through Coolant (Balan.. Item Name ISO D L1 L2 D2 BT40 FMH-K32 160 Coolant Through Flange(AD+B) Face Mill Holder-Through Coolant (Balan.. Item Name ISO D L1 L2 D2 BT40 FMH-K32 200 Coolant Through Flange(AD+B) Face Mill Holder-Through Coolant (Balan.. Item Name ISO D L1 L2 D2 BT40 FMH-K40 055 Coolant Through Flange(AD+B) Face Mill Holder-Through Coolant (Balan.. Item Name ISO D L1 L2 D2 BT40 FMH-K40 100 Coolant Through Flange(AD+B) Face Mill Holder-Through Coolant (Balan.. Item Name ISO D L1 L2 D2 BT40 FMH-K40 160 Coolant Through Flange(AD+B) Face Mill Holder-Through Coolant (Balan..
What is BT40 Face Mill Holder-Through Coolant? 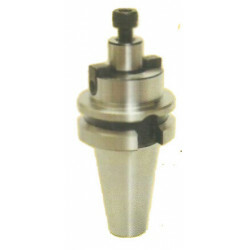 Where can I buy BT40 Face Mill Holder-Through Coolant Online?